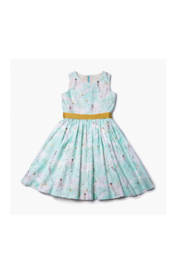 The Amanda Dress Mermaid Aqua is a magical attire filled with fantasy. It unites the tenderness and liberty that inspired by mermaids and the sea. The neckline is rounded with ruffles in their sleeves. 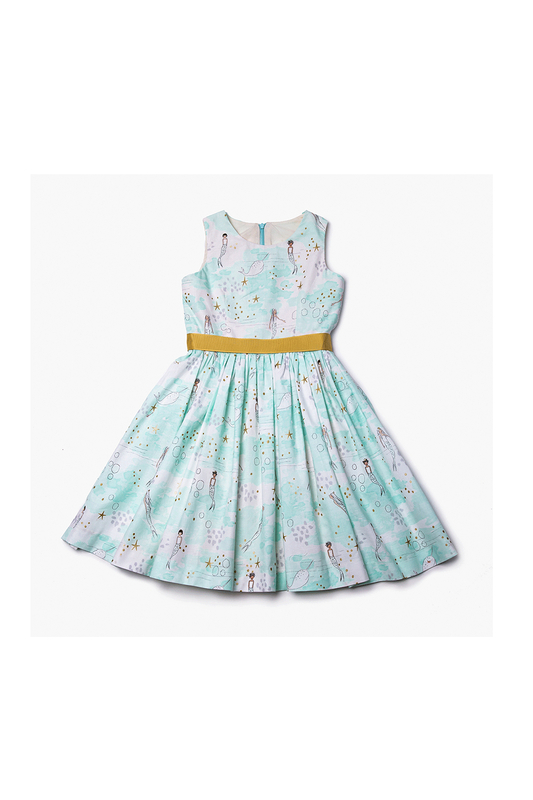 It’s a handmade dress with a fabric of 100% cotton, amazing fabric.